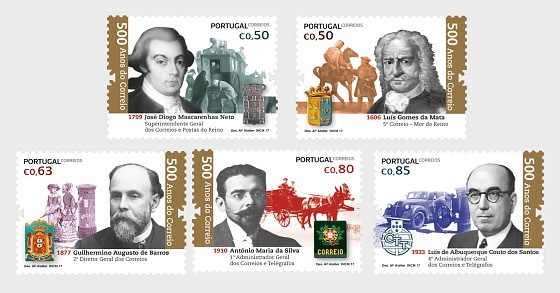 Key Figures in the History of the Portuguese Postal Service It is not an easy task to select notable gures from the past ve centuries of Portuguese Mail history, since many could be eligible for inclusion in this philatelic issue. However, with as much exemption as is possible in these cases, we have selected ve gures from diverse historical periods who have been unequivocally proven to be some of the most notable for the Portuguese Mail institution. Luís Gomes da Mata In 1606, King Philip II sold the Postal Services for the substantial sum of 70,000 cruzados to Luís Gomes da Mata, a Portuguese nobleman and one of the wealthiest men in Lisbon. Thus began the Gomes da Mata dynasty as Master of the Posts, an o ce which would remain in possession of the family for over two centuries and would be occupied by seven incumbents in total. José Diogo Mascarenhas Neto Mascarenhas Neto was appointed as 1st General Superintendent Royal for Mail and Post in January 1799, signalling a new stage in the life of the Postal Services in becoming the responsibility of the Crown. With great skill and energy, Mascarenhas Neto implemented a number of changes that immediately placed a public emphasis on the Postal Services, overseeing the Provisional Regulation for the Re-Establishment of Mail Services and for the Establishment of the Small Post, Letterboxes and Letter Carriers Services in Lisbon. Guilhermino Augusto de Barros Over the course of 16 years, Guilhermino Augusto de Barros oversaw radical changes in the postal services as they grew more dynamic and e cient. The most prominent of these, among many others, were opening 22 new Post and Telegraph O ces, the sorting of correspondence in Lisbon during the early hours of the morning, the introduction of Greeting and Post Cards, the creation of the Rural Postal Service, the implementation of Ambulant Postal Deliveries, the delivery of registered mail, declared value for letters, postal and telegraph money orders and the installation of post boxes in Portugal’s cities. Guilhermino de Barros held enormous international prestige and in 1885 brought the Universal Postal Union Congress to Lisbon, receiving glowing praise for its organisation. António Maria da Silva In 1911, the Postal Service became a General Administrative Institution of the State, endowed with administrative and nancial autonomy. With a greater freedom, it became easier for the institution to achieve total coverage across the country, in line with the ideals of the republic. António Maria da Silva was instrumental in pursuing these goals, as Head of the Postal Services and later Minister and Prime Minister in several governments. He was responsible for major developments in the Postal Services, including among others the establishment of the postal savings bank Caixa Económica Postal, the shipping company Transportes Terrestres e Marítimos de Lisboa, an electrical engineering laboratory, the Parcel Post Administration O ces in Lisbon and Porto and the Post and Telegraph School, a cutting-edge institution aimed at training postal workers. Luís de Albuquerque Couto dos Santos Couto dos Santos was appointed head of the CTT in 1933 and immediately set out to reorder the General Administration after a long period of disruption to the service following the coup d’etat of 28 May, 1926. Structural changes were introduced, including the implementation of programme for the general upgrading of infrastructure and a Construction and Building Plan that changed the face of the post o ces that had fallen into a deep state of disrepair. 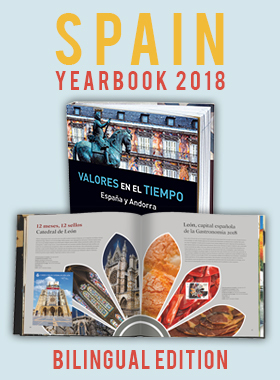 At the same time, immediate e ect was give to a material procurement plan that included new furniture for the post o ces and related services, renewal of the eet of vehicles and service machinery and equipment, and the reorganisation of services, sta and salaries of the Portuguese Postal Service sta .